We provide extensive office, apartment, terminal, and floor cleaning services in the State. Keep you're building looking immaculate with cleaning services ranging from monthly to daily intervals. Let us offer extensive apartment cleaning to ensure your new tenants love their clean home. Prevent the spread of infectious germs in hospitals, nursing homes, or anywhere sanitation is an important factor. We're always improving our cleaning methods and supplies for best results. Are your floors looking shabby? Before you spend a fortune replacing your tiles, let our flooring experts take a look. Proper maintenance extends the life of your floor, saving you money on replacement. Work with a company you know does the job right the first time, every time. 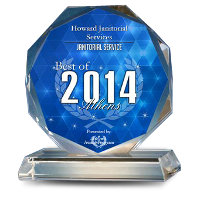 Howard Janitorial Services has served the Georgia, area and many other states for more than 30 years. Fully bonded and insured, you don't have to worry about amateurs and arising liability issues in your workplace. 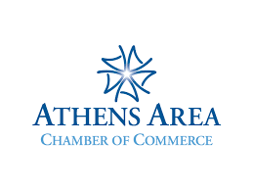 When you're searching for a janitorial cleaning company in Athens, GA, ask yourself: Do you just want a cleaning service, or do you want high-quality cleaning done professionally each and every time? In addition to providing spotless environments, we also offer simple and versatile payment methods. Whether you want a onetime cleaning job or a daily extensive cleaning, we offer a variety of contracts, including onetime, daily, weekly, and monthly schedules. Payment is fully automated to make paying your bill as convenient as possible, and we also accept payment at your home or office location. If you're not a fan of long-term contracts, we offer month-to-month agreements as well, so you can pay as you go. Contact us today for a free estimate and to find out more about subcontracting through us.